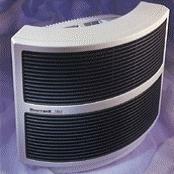 Portable particulate air filters designed for convenient relocation within a medical institution. May also be used to protect from toxic elements (biological, industrial,or radioactive) in emergency shelters. Airway pressure alarms signaling ventilation failure. 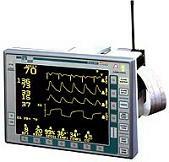 Alarms used in critical and non-critical ventilators, breathing circuit connections, and anesthesia circuits. They warn of high or low pressure changes in airway circuits of mechanically ventilated patients, indicating ventilation failure. Devices which detect breathing stops (apnea). 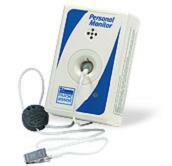 Apnea monitors measure respiration parameters in order to detect instances where breathing stops. Audio- visual alarms note changes in respiratory rate or air volume. Alarm activation parameters can be set by user. Respiration can be sensed mechanically or directly, using thermistors and carbon dioxide sensors. Audio/visual warning system tracking movements of unattended patients. A device based on sensor-activated alarms to track movements of unattended patients. A control unit monitors patient`s location, in some cases directly connected to nurse stations with a remote alarm. This device is used to avoid falls by patients with impaired mobility or who need support assistance, and to keep mentally disabled patients from wandering. 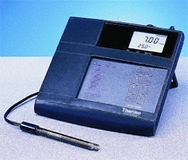 Bedside blood gas monitor designed to continuously measure and display the particle pressure of CO2 and/or O2 gases in the blood. Bedside monitors for continuous measurement of carbon dioxide and/or oxygen. Continuous measurement of partial pressure of carbon dioxide and/or oxygen at skin surface. These bedside monitors may use two separate electrodes or one combined sensor. This combined sensor includes a modified pH electrode, an O2 cathode and heated reference electrode, a membrane and an electrolyte in a shielded container. 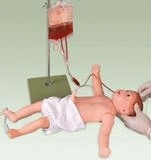 Some monitors have a third electrode to measure blood pH. Flexible bronchoscopes for insertion through respiratory tract. 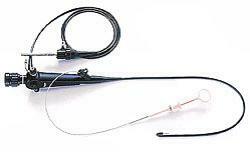 Flexible bronchoscope with plastic sheath, capable of insertion and manipulation through respiratory tract. A television camera on distal tip electronically transmits image through the endoscope for display and recording. Angiographic and special-procedure R/F imaging systems (fluoroscopy), including cardiovascular and cardiac catheterization. 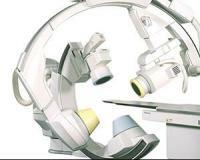 X-ray fluoroscopic angiography (both diagnostic and interventional) is the most widely used vascular imaging system. 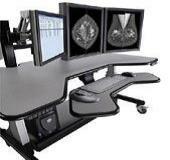 Integrated R/F units utilizing video/movie camera equipment, digital recording devices, as well as the patient table. This equipment is suitable for performing the evaluation and treatment of cardiac catheterization (Cath Lab) and for other cardiovascular diseases. 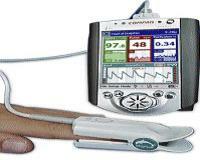 It provides real-time images of blood flow and vascular activity for diagnosis or during surgical procedures. Bedside carbon dioxide respiratory monitors. Mainstream or sidestream measuring of carbon dioxide partial pressure in exhaled breath. Respiratory bedside carbon dioxide monitors are used during anesthesia, for detection of ventilator dysfunction, to verify placement of endotracheal tubes, and for use during cardiopulmonary resuscitation. The device`s sensor includes an infrared light source, optical filter, reference and sample chambers, and detector. Most monitors measure end-tidal carbon dioxide concentration, some are computerized. 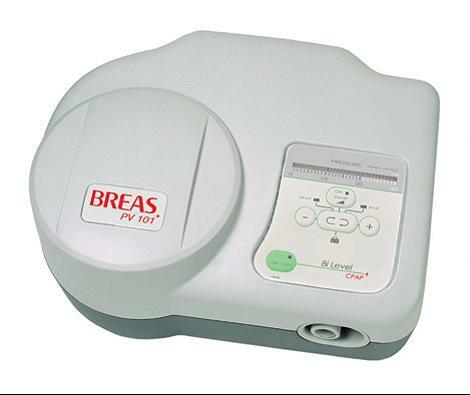 CPAP unit (Continuous Positive Airway Pressure) for delivering positive pressure. CPAP units for delivering continuous pressure of air and oxygen, by preventing closure and narrowing of patient`s airway. The unit consists of a mask or nasal tubing connected to an airflow generator. A cart used to transfer various sized medical gas cylinders (bottles). It is used both in the medical institution, as well as in home care environment. Some models can take different sizes of cylinders, while others are aimed for a specific size. Some models are designed to hold two cylinders simultaneously, which enables continuous supply of gas. Carts with appropriate features for emergency cardiopulmonary resuscitation procedures. 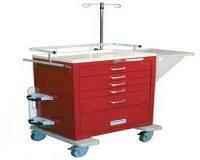 Carts with appropriate features for storage and transportation, used for emergency cardiopulmonary resuscitation procedures. These carts are usually pre-stocked and ready for use, located strategically throughout the hospital for use by emergency medical team. They include defibrillator, ECG monitor, pulmonary resuscitator, oxygen reservoir, backboard for external cardiac compression, as well as surgical supplies and drugs. Fiberoptic light sources for endoscopes. 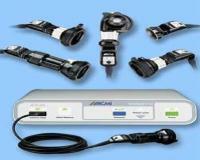 Fiberoptic light sources for endoscopes (flexible or rigid) in diagnostic, observation, and surgical procedures. High and low intensity fiberoptic light is used for viewing surgical fields and body cavities, while minimizing tissue heating. These lighting sources are smaller and more cost-effective as opposed to incorporating a light source in each fiberoptic instrument. 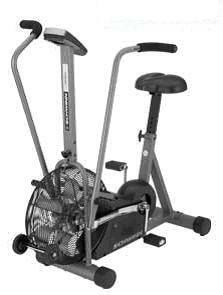 Bicycle ergometers are used in standardized exercise testing for certain suspected disease diagnoses. Rate of effort can be measured by calculating effort expended. They have the same features as stationary exercise bicycles. 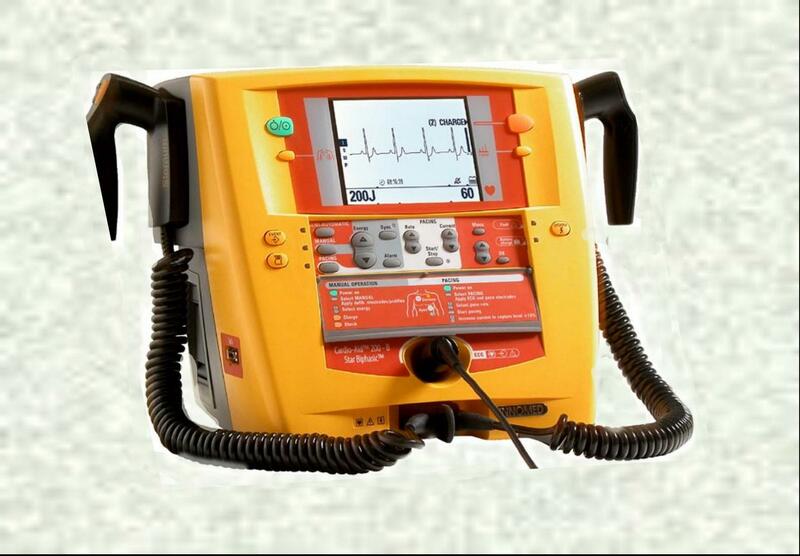 Manually and battery-operated external defibrillators which include an ECG monitor. Manually configured external defibrillators that are battery powered, and include an ECG monitor. They may also include an external non-invasive pacemaker. The ECG monitor may be either integral or modular. 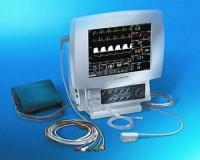 It is used to verify a shockable cardiac rhythm, and monitor effectiveness of treatment. Electric impulse is delivered to patient after confirmation of ventricular fibrillation, using ECG. These units are usually battery operated, and may also be line powered. 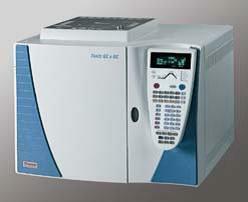 Gas Chromatography systems for use with liquid or solid as stationary phase. Gas chromatography systems using solids in a packed column (glass, metal, or plastic tube) as the stationary phase, and systems using non-volatile liquid coatings on the chromatographic column for the stationary phase. A device which a patient puts on his chest-wall and which mechanically oscillates to improve patient`s respiratory condition. These models are used in a variety of settings, such as schools, colleges, medical schools and clinics. Various types are available: Whole body, skeletal and muscular systems, circulatory and respiration systems, digestive system, nervous system, head, teeth and jaws, eyes, ENT and skin. Hyperbaric chambers used to treat formation of gas bubbles in the blood, including pulmonary and cerebral air embolism. Also used for gas gangrene and other anaerobic infections. Air pressure is raised to levels above atmospheric pressure in chambers designed for patient treatment. Patient breathes pure oxygen delivered by mask or hood, or oxyen pressurization of the chamber. Multiplace chambers can hold more than one patient, including medical personnel. 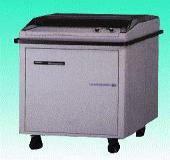 Units for heating or cooling of the body or of a localized area. A machine which circulates warm or cold fluid (e.g. water) through a special mattress, blanket or pads. The temperature and the flow of the fluid is electronically monitored and controlled, to keep the body temperature in a preset range. Safety foolproof measures are embedded in the system. 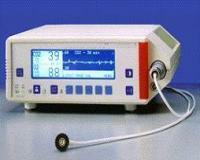 Pulmonary function analyzers of volume, flow, resistance etc. 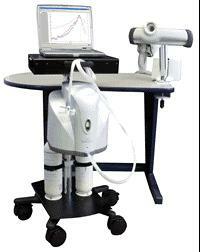 Computerized pulmonary function analyzers with data processing and recording capabilities. They are used for outpatient and presurgical screening, also for evaluation of common diseases in older children and adolescents. 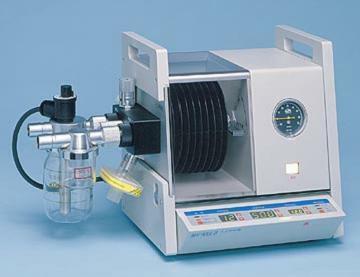 These analyzers consist of a spirometer with volume and flow-sensing devices, gas analyzer for gas diffusing capacity of lungs, and evaluation of absolute lung volumes. Some can measure both lung volumes and airway resistance using a total body plethysmograph. Endoscopes intended for insertion into mediastinum through the sternum. Mediastinoscopes for endoscopic treatment within the mediastinum cavity, as well as for observation and biopsy procedures. They are inserted percutaneously through the jugular notch of the sternum, to allow viewing of tissues and organs within the cavity including the heart. 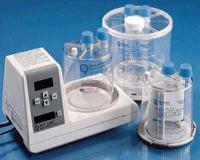 Respiration monitors for bedside use that measure concentration of different gases. Bedside monitors with a set of analyzers that can simultaneously and continuously measure concentrations of different gases, such as oxygen and CO2, as well as anesthestic gases. These respiration monitors sample, measure, and display data on inspired and expired concentrations of the gases. They are computerized, including alarms, and display of values, waveforms, and trends. A device which uses a simple breath test to determine resting metabolic rate, VO2, speed of metabolism and caloric needs for weight maintenance. Aerosol treatment tents are used for treatment of breathing disorders when the use of direct facial attachments or tubing is not indicated. Plastic sheeting is held over the bed like a canopy over the patient`s head and upper body. Humidifiers for humidity and temperature control of respiratory gas flow to lungs. Humidifiers that introduce moisture to respiratory gas using bubble-through or pass-over heating units. 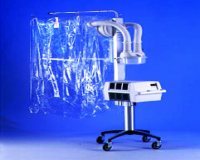 Heated water vapor increases temperature and humidity of gas flow from source to patient. Another approach is to nebulize water by ultrasonic means. Mass spectrometers for gas mixture concentration monitoring. Mass spectrometers used to monitor concentrations of gases such as nitrous oxide, carbon dioxide, nitrogen, and oxygen, during surgery or in intensive care. 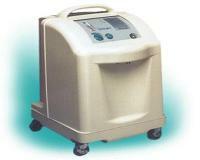 Oxygen concentrators which produce an oxygen-rich gas mixture. Oxygen concentrators are used for patients with respiratory difficulties who benefit from high oxygen concentrations. 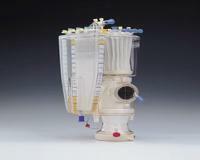 These concentrators pull in room air and extract nitrogen, producing an oxygen rich gas mixture. Mainly used for chronically ill patients in home care. Oxygen monitors with electrochemical sensors. Oxygen monitors that continuously measure and display oxygen concentration in hospital supply lines, compressed gas cylinders, and in gas mixtures supplied to the patient. Most units have alarms signalling dangerous levels of oxygen concentration. These monitors are also used to check accuracy of ventilator settings. 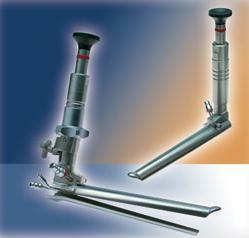 For use mainly in ICU`s, operation theaters and in critical care units. Oxygenators for gas exchange in blood. Bubble oxygenators are used in short term procedures for gas exchange. They bubble oxygen from tanks or central hospital supply through a column of blood. They include a defoamer to break up bubbles formed during oxygenation process, and an arterial reservoir to collect defoamed blood, a gas flowmeter, and a filtering system. Membrane oxygenators diffuse oxygen across a gas permeable membrane. They may be used in long term procedures as they cause less blood damage than bubble oxygenators. PACS (Picture Archiving and Communication System) for collecting, storing and retrieving patient images and data. Computer-based systems (PACS) that can collect, store, archive and retrieve images and data in digital format from single or multiple modalities (CT, MRI, US, CR, DR, nuclear medicine, etc). These systems are used in medical centers in conjunction with the HIS and RIS and serves as a major tool for clinical routine work. These systems enable telemedicine consultations. Physiologic monitoring systems that detect and display ECG`s, respiratory rate, non-invasive and invasive blood pressure, body temperature, airway gas concentrations, and others. 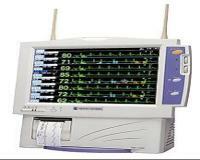 Physiologic continuous monitoring systems for evaluation of patient`s cardiac activity. 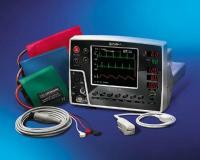 These monitors can detect and display ECG`s. Other parameters that can be configured using appropriate sensors, are respiratory rate, non-invasive and invasive blood pressure, body temperature, airway gas concentrations, and others. 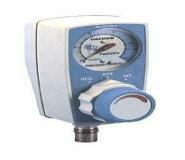 pH meters and monitors are electrometric devices used to measure the pH of a liquid or a solution. The pH meter is basically a high resistance input voltmeter, which is coupled to a measuring electrode. 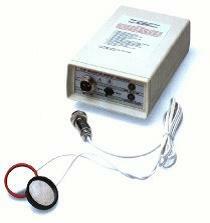 The electrode is immersed into the solution, and produces output voltage proportional to the pH of the solution. Usually include a special measuring electrode-probe and electronic meter which measure and display the pH reading. Often used to determine the acidosis state of the patient by measuring the pH of the blood. 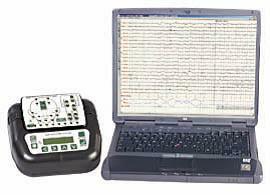 Computerized analyzers for measuring, recording, and interpreting sleep related physiological functions, used in the diagnostic evaluation of insomnia, hypersomnia, apnea, and other sleep disorders. 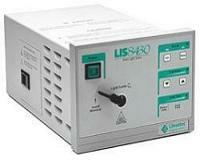 Somnography analyzers that are used for diagnostic evaluation of sleep related disorders. They use electrodes and other transducers to measure and record physiological functions of patients while they sleep. Additional audio/visual information is recorded for behavioral analysis . Software for processing and recording is included. A small portable device which continuously delivers oxygen to the patient. A small portable device which continuously delivers oxygen to the patient. Can be a liquid oxygen container in which a slow evaporation of the oxygen takes place, or a small chemical oxygen reactor. Data management information systems for physician`s office and clinics. A system used by healthcare providers in private or group medical clinics or organizations. These systems have the appropriate hardware and software for patient record keeping and diagnosis, and for administrative tasks such as inventory, billing, and scheduling. Whole systems intended to measure the pulmonary (and sometimes the associated cardiac) functions under stress conditions. Stress testing monitoring systems for evaluation of cardiac and/or pulmonary function. These systems can help determine various functional capacities of the individual being tested. They are also used in diagnosis of cardiac and/or pulmonary disease, by evaluating physiological response to physical stress ( use of treadmills and bicycle ergometers). Pulse oximeters that measure oxygenated and deoxygenated hemoglobin in arterial blood. Non-invasive pulse oximeters that continuously measure light absorbance changes that result from arterial blood flow pulsations, and determine relative amount of oxygenated and deoxygenated hemoglobin. Pulse oximeters include red and infrared light sources, photodetectors, and probes for light transmission through a pulsing artery. Some also measure and display heartrate. 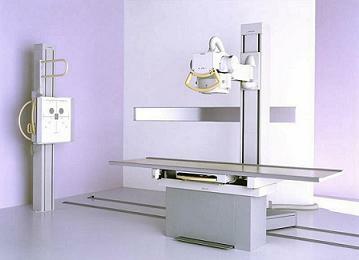 Conventional radiographic and fluoroscopic equipment. Radiographic and fluoroscopic system, based on film radiography and image intensifier derived fluoroscopy (fluoroscopic image may be converted into a digital format such as DICOM 3.0). Chest stand may be included. 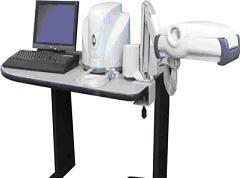 Radiographic photospot fast image recording cameras used for direct radiography. Fast Image recording cameras used for direct radiography. Specially designed cameras which can expose film in a higher format. Various emergency kits, bags and resuscitators. 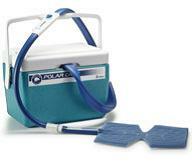 Emergency kits contain basic equipment for life support and emergency care. Resuscitators are manually or foot operated emergency pumps for pulmonary resuscitation, usually of a balloon type, which deliver air or gas mixture for patient resuscitation. By squeezing the balloon, pressure is built up and gas flows to the face mask or to the air tubing. 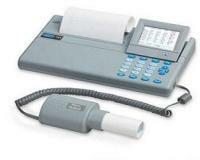 Diagnostic spirometers for evaluation of pulmonary function. A device for evaluating pulmonary function by measuring air flow rate and volume. Diagnosis is made by comparing patient values with normal standard values. Serial imaging systems for dynamic radiography. Serial imaging systems for dynamic radiography, to capture the images from the phosphor screen or directly from the image intensifier. 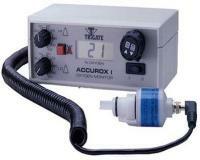 A device which regulates the negative pressure of the suction line. A mechanical device which is installed on the low pressure line to keep the suction power within a predetermined limit. Sweat-testing devices for the diagnosis of cystic fibrosis. Sweat testing devices are used as a method of diagnosing cystic fibrosis. CF affects different exocrine glands, which creates typical abnormalities in sweat electrolyte concentration. These devices stimulate, collect, and/or analyze sweat for testing purposes. Telemetric monitors used for in the hospital setting. Telemetric monitors are used to monitor ECG`s and other physiologic parameters using single/multi channel, analog/digital systems . Analysis of these parameters can reveal changes in hospitalized patients. Signals can be transmitted to a central station to be observed by the staff. An alarm system can be incorporated. 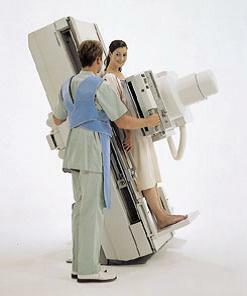 Linear radiographic/tomographic systems . Film and x-ray tube move in opposite directions, in parallel, straight lines. 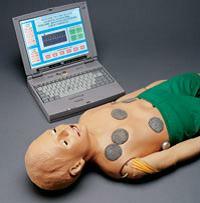 Various training manikins, for CPR training, trauma rescue, defibrillation and other patient treatment skills, tasks and techniques. These manikins are used for teaching various treatment techniques. Adult, child, and infant models are available. Mobile ventilators for use during transportation, in or out of the hospital. Ventilators for use during transportation of patients within the healthcare facility, or in emergency situations outside of the hospital. 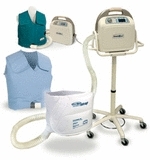 These ventilatory support devices are designed to work in a controlled mode, with preset breathing intervals, and not for spontaneous breathing.Most of them include monitors and alarms for indicating high and low pressure and respiratory failures. 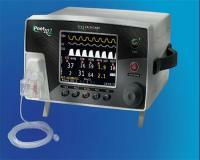 Neonatal and pediatric ventilators for use in intensive care. Breathing systems used in pediatric and/or neonatal intensive care, for infants in need of respiratory support. These ventilators have CPAP and PEEP controls .These devices are mainly pressure controlled and time-cycled. Portable/home-care ventilators for respiratory support. Simple lightweight ventilators, that can also be used at home. These ventilators can be line-powered or battery operated, and include an alarm system. Positive pressure is used to deliver respiratory gases at predetermined breathing rates. Some have heating and humidifying functions. 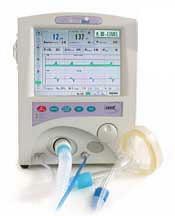 Some ventilators can be operated in different ventilation and cycling modes. 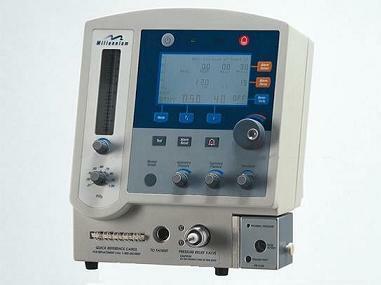 A device which includes a controller and an aplicator that are used to transmit mechanical vibrations to treated areas. Can be used for most massage applications including trachea and the bronchs for removing of phlegm. A video system used during endoscopic procedures. A video system used during endoscopic procedures for viewing, storing, and retrieving images. These systems are generally used in procedures using rigid and flexible endoscopes, for both diagnostic and therapeutic purposes. Digital system for dictating and transcribing medical reports and records. A language-linked system used for digital dictation. 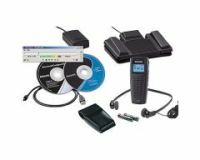 Physicians and medical personnel use this system to dictate, transcribe and review medical reports. For added efficiency, speech recognition software can directly transmit recorded data into a written format, for immediate editing. Most systems enable remote access, and management functions such as quality assurance and workflow tracking. Some can be used for voice-mail messages.